The views and opinions expressed in this page and documentaries are soley intended to educate and provide background information to those interested in UK Gangs. They in no way reflect my own opinions and I take no responsibility for any inaccuracies or factual errors. The Peaky Blinders were a criminal gang based in Birmingham, England, in the late 19th century and, to a lesser extent, in the early 20th century. Philip Gooderson, author of The Gangs of Birmingham, states that the Peaky Blinders originated as a specific gang, but the term later became a generic label. An earlier gang known as the Cheapside Sloggers had evolved in the 1870s, and the term “Sloggers” (meaning fighters) had already become a generic local label for street gangs when the Peaky Blinders emerged at the end of the century in Adderley Street, in the Bordesley and Small Heath areas, which was an extremely deprived slum section of Birmingham at the time. The Peaky Blinders were distinguished by their sartorial style, unlike earlier gangs. Notable members included David Taylor (imprisoned for carrying a gun at 13 years old), “baby-faced” Harry Fowles, Ernest Haynes and Stephen McNickle. Early in the 20th century, one of the Birmingham gangs known as the Brummagem Boys (Brummagem being slang for Birmingham) began to spread their criminal network from the streets of Birmingham to around the country. Helped by greatly improved transport, for the first time, regional gangs were able to expand beyond the streets that bred them. The new connecting railway between Birmingham and London meant they could target the racecourse riches of the country’s capital. Following the Handsworth riots in 1985, young people banded together in groups which soon turned to petty crime and robbery. By the late 1980s, the Johnson Crew, named after their Johnsons Café hang-out, controlled the drugs market and nightclub security across a large area of Birmingham. After a fall-out between members of the Johnson Crew, the Burger Bar Boys formed, taking their name from a Soho Road fast-food joint. This began a violent feud between the Johnsons and the Burger Bar Boys, which was finally resolved in a truce instigated by Matthias “Shabba” Thompson in 2010, with assistance from documentary maker Penny Woolcock. The process of forming the truce was captured in the Channel 4 documentary, One Mile Away. Following the truce, violent crime fell by 50% in the B6 postcode area and 30% in B21. The increasingly collaborative relationship between the two gangs has led to some in the media describing them as more akin to a ‘super gang’, seeking to establish a greater national network of organised crime rather than controlling their post-code areas. According to one report, Northern Ireland has over 150 active criminal gangs as of 2014. In Belfast in particular, a report in 2003 estimated there to be approximately 80 gangs, most nominally sectarian, engaged in racketeering across the city. An investigation in 2014 found that some gangs in Belfast were particularly hostile towards non-white residents of the city, with numerous cases of racially motivated violence, intimidation and extortion having been reported. Gangs in Belfast have been involved in people smuggling and human trafficking. Although the vice industry was previously mostly on the street, in recent years it has moved indoors to residential homes and hotels and formed closer links to organised crime networks. Trafficking gangs in Belfast, as in the rest of Northern Ireland, tend to be of Chinese or Eastern European origin, utilising local people as facilitators in their network. The history of Glasgow gangs can be traced back to the 18th century, although the first media recollection of Glasgow gangs was not until the 1870s with the acknowledgement of the Penny Mobs. It has been suggested that the rise in Glasgow gangs from the 1850s was a result of an influx in Irish immigration which included those from traditional Irish fighting gangs such as the Caravats and Shanavests. By the 1920s many Glasgow gangs were widely viewed as fighting gangs rather than criminal gangs although there were widespread reports of extortion and protection rackets particularly in the city’s East End and South Side. By the 1930s Glasgow had acquired a reputation throughout Britain as a hotbed of gang violence and was regarded at the time as Britain’s answer to Chicago, the Scottish Chicago. The gangs at this time were also referred to as Glasgow razor gangs, named after their weapon of choice. One of Glasgow’s most notorious gangs were the Billy Boys, a sectarian anti-Catholic gang, who were formed in 1924 by William Fullerton after he was attacked by a group of Catholic youths. Many gangs in the East End of Glasgow were both sectarian and territorial whereas in other districts they were primarily territorial. More recently an Evening Times report in 2008 stated that there were 170 gangs in Glasgow whilst an earlier report in 2006 included a map showing the location and a list of Glasgow gangs. Gangs in Glasgow mark their territory with gang tags or graffiti. Recent years have seen an increase in Asian gangs, particularity in the South of Glasgow. Asian gang culture, violence and crime in the city came to wider attention following the racially motivated murder of Kriss Donald by men of Pakistani origin in 2004. Kriss Donald (2 July 1988 – 15 March 2004) was a Scottish 15-year-old white male who was kidnapped and murdered in Glasgow in 2004 by a gang of men of Pakistani origin, some of whom fled to Pakistan after the crime. Daanish Zahid, Imran Shahid, Zeeshan Shahid, and Mohammed Faisal Mustaq were later found guilty of racially motivated murder and sentenced to life imprisonment. A fifth participant in the crime was convicted of racially motivated violence and jailed for five years. On 15 March 2004, Donald was abducted from Kenmure Street by five men associated with a local Pakistani gang led by Imran Shahid. The kidnapping was ostensibly revenge for an attack on Shahid at a nightclub in Glasgow city centre the night before by a local white gang, and Donald was chosen as an example of a “white boy from the McCulloch Street area” despite having no involvement in the nightclub attack or in any gang activity. Donald was taken on a 200-mile journey to Dundee and back while his kidnappers made phone calls looking for a house to take him to. Having no success at this, they returned to Glasgow and took him to the Clyde Walkway, near Celtic Football Club‘s training ground. There, they held his arms and stabbed him 13 times. He sustained internal injuries to three arteries, one of his lungs, his liver and a kidney. He was doused in petrol and set on fire as he bled to death. The five men convicted of the abduction and murder were convicted of racially aggravated offences. After the murder, some of Donald’s attackers fled the United Kingdom to Pakistan. Initially, two men were arrested in connection with the crime. One man, Daanish Zahid, was found guilty of Kriss Donald’s murder on 18 November 2004 and is the first person to be convicted of racially motivated murder in Scotland. Another man, Zahid Mohammed, admitted involvement in the abduction of Donald and lying to police during their investigation and was jailed for five years. He was released after serving half of his sentence and returned to court to give evidence against three subsequent defendants. Three suspects were arrested in Pakistan in July 2005 and extradited to the UK in October 2005, following the intervention of Mohammed Sarwar, the MP for Glasgow Central. The Pakistani police had to engage in a “long struggle” to capture two of the escapees. There is no extradition treaty between Pakistan and Britain, but the Pakistani authorities agreed to extradite the suspects. There were numerous diplomatic complications around the case, including apparent divergences between government activities and those of ambassadorial officials; government figures were at times alleged to be reluctant to pursue the case for diplomatic reasons. The three extradited suspects, Imran Shahid, Zeeshan Shahid, and Mohammed Faisal Mushtaq, all in their late twenties, arrived in Scotland on 5 October 2005. They were charged with Donald’s murder the following day. Their trial opened on 2 October 2006 in Scotland. Each of the killers received sentences of life imprisonment, with Imran Shahid given a 25-year minimum term, Zeeshan Shahid a 23-year minimum and Mushtaq receiving a recommended minimum of 22 years. The BBC has been criticised by some viewers because the case featured on national news only three times and the first trial was later largely confined to regional Scottish bulletins including the verdict itself. Although admitting that the BBC had “got it wrong”, the organisation’s Head of Newsgathering, Fran Unsworth, largely rejected the suggestion that Donald’s race played a part in the lack of reportage, instead claiming it was mostly a product of “Scottish blindness”. In preference to reporting the verdict the organisation found the time to report the opening of a new arts centre in Gateshead in its running order. The BBC again faced criticisms for its failure to cover the second trial in its main bulletins, waiting until day 18 to mention the issue and Peter Horrocks of the BBC apologised for the organisation’s further failings. However, Peter Fahy, spokesman of race issues for the Association of Chief Police Officers, noted that the media as a whole tended to under-report the racist murders of white people, stating “it was a fact that it was harder to get the media interested where murder victims were young white men”. The British National Party were accused by Scotland’s First Minister and Labour Party MSP Jack McConnell among others of seeking to exploit the case for political advantage, and an open letter signed by MSPs, trades unionists, and community leaders, condemned the BNP’s plans to stage a visit to Pollokshields. The group did hold a rally in the area, leading to accusations that it was fuelling racial tension. An article in The Scotsman newspaper alleged a lack of response by authorities to concerns of rising racial tensions and that Strathclyde Police had felt pressured to abandon Operation Gather, an investigation into Asian gangs in the area, for fear of offending ethnic minorities. On 8 November 2006 Bashir Maan, a prominent Pakistani Glaswegian, also claimed on BBC television that police were well aware of the activities of Asian gangs in Glasgow but were reluctant to take action for fear of being accused of racism. In a January 2005 interview with a Scottish newspaper, he had previously claimed that “fear and intimidation” had allowed problems with Asian gangs in some parts of the city to go unchecked. The article also quoted a former senior Strathclyde police officer who criticised “a culture of political correctness” which had allowed gang crime to “grow unfettered”. A BBC report suggests that another reason for inaction was lack of evidence, as locals were more prepared to make complaints than to give evidence in court. Some commentators have argued the murder was somewhat mischaracterised in the media, as well as expressing a doubt that significant ethnic tensions exist in Pollokshields, suggesting that “gangland revenge” may have played a part. The case drew attention to the issues of prisoners automatically being released from prison early when it emerged that one of the murderers, Shahid, was on early release from a prison sentence at the time of the killing. He had previously been jailed for two and half years for a road rage attack but only served nine months of his sentence. Glasgow band Glasvegas wrote the song “Flowers And Football Tops” having been inspired by the tragedy and the likely impact it would have in the victim’s parents. The band dedicated their 2008 Philip Hall Radar NME award win to Donald’s memory. A memorial plaque was installed on a bench by the River Clyde in memory of Donald. One of the most notable impacts of the murder was to force some people to examine their views of racism and its victims. Commentators such as Mark Easton cite the racist murders of Donald and also Ross Parker as demonstrating how society has been forced to redefine racism and discard the erroneous definition of “prejudice plus power” – a definition which only allowed ethnic minorities to be victims of hate crime. Yasmin Alibhai-Brown also cited the Donald case when highlighting the lack of concern for white victims of racist murders. She drew comparisons with high profile ethnic minority victims, asking whether Donald’s murderers were “less evil than those who killed Stephen Lawrence“. Alibhai-Brown came to the conclusion that treating “some victims as more worthy of condemnation than others is unforgivable – and a betrayal of anti-racism itself”. In the early 1980s Liverpool was tagged by the media as ‘Smack City’ or ‘Skag City’ after it experienced an explosion in organised gang crime and heroin abuse, especially within the city’s more deprived areas. At the same time several criminal gangs began developing into drug dealing cartels in the city, including the Liverpool Mafia, which was the first such cartel to develop in the UK. As drugs became increasingly valuable, large distribution networks were developed with cocaine producers in South America, including the Cali cartel. Over time, several Liverpool gangsters became increasingly wealthy, including Colin ‘Smigger’ Smith, who had an estimated fortune of £200m and Curtis ‘Cocky’ Warren, whose estimated wealth once saw him listed on the Sunday Times Rich List. It has also been suggested that distribution networks for illicit drugs within Ireland and the UK, and even allegedly some Mediterranean holiday resorts, are today controlled by various Liverpool gangs. A report in the Observer newspaper written by journalist Peter Beaumont entitled Gangsters put Liverpool top of gun league (28 May 1995), observed that turf wars had erupted within Liverpool. The high levels of violence in the city came to a head in 1996 when, following the shooting of gangster David Ungi, six shootings occurred in seven days, prompting Merseyside Police to become one of the first police forces in the country to openly carry weapons in the fight against gun crime. Official Home Office statistics revealed a total of 3,387 offences involving firearms had occurred in the Merseyside region during a four-year period between 1997 and 2001. It was revealed that Liverpool was the main centre for organised crime in the North of England. 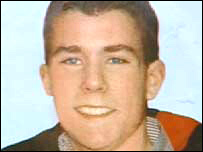 The murder of Rhys Milford Jones (27 September 1995 – 22 August 2007) occurred in Liverpool when he was shot in the back. 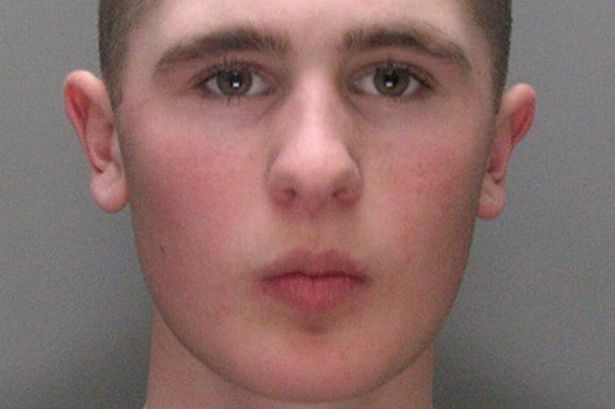 16-year-old Sean Mercer went on trial on 2 October 2008, and was found guilty of murder on 16 December. He was sentenced to life imprisonment with a minimum of 22 years. Jones was the son of Stephen (born in Liverpool) and Melanie Jones (née Edwards; born in Wrexham). They have an older son, Owen (born 1990). Jones, who would have turned 12 one month after his death, had just left Broad Square Primary School on the Norris Green housing estate, and was due to start secondary school at Fazakerley High School in September 2007. His headteacher and neighbours said he was a friendly and popular boy who loved football. Jones, who played for the Fir Tree Boys football club, was on his way home from football practice alone. As he was crossing the Fir Tree pub car park in the Croxteth Park estate, Liverpool, a hooded youth riding a silver mountain bike approached. He then held out a Smith & Wesson handgun at arm’s length, firing three shots. It was originally believed that one of the shots hit Jones in the neck, but during the trial, the pathologist revealed that the bullet had entered his back above his left shoulder blade and then exited from the front right side of his neck. The shooting occurred in daylight at 7.30 pm BST. Jones’ mother rushed to the scene when she heard what had happened. By the time his mother had reached him, he was unconscious. Paramedics tried for one and a half hours to resuscitate him, but he was pronounced dead some time later at Alder Hey Children’s Hospital. Local radio station Radio City 96.7‘s programming on the night of the incident, in particular the 10pm–2am show, was dedicated to an amnesty for witnesses and a talk on gun crime. Radio City also launched their anti-gun-crime campaign (backed by Jones’ parents), In Rhys’s Name Get Guns Off Our Streets, after the incident. Detectives arrested and later released four people aged between 15 and 19 in connection with the crime. Two further arrests (both teenagers) were made, but both suspects were soon released on bail pending further enquiries. The police appealed to the public for information, stating that they needed help in finding those who had committed the crime. The murder weapon was described as a black handgun with a long barrel. More than 300 officers and gun crime specialists were deployed in the hunt for the killer. Jones’ parents made a fresh appeal for witnesses to come forward on 19 September, four weeks after the murder, which was reconstructed on Crimewatch on 26 September. In the episode, Jones’ mother appealed directly to the murderer’s mother to turn her son in. It led to 12 people calling into the programme, all of whom gave police the same name. Despite reports that the killer’s name was widely known and had appeared on internet sites and in graffiti, police continued their appeal for witnesses to come forward. On 15 April 2008, Merseyside police confirmed that 11 people (all aged between 17 and 25) had been arrested in connection with the case. Six more males of a similar age were arrested the next day in connection with the murder – one for murder and the other five for assisting an offender. One of these men had already been charged with possessing a firearm. 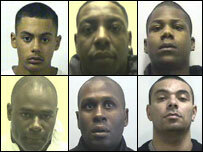 All six of them were remanded in custody by Liverpool Magistrates on 17 April 2008. Another man was charged in connection with the case on 18 April 2008, and remanded the same day. On 16 December 2008, at the end of a nine-week trial in the Crown Court at Liverpool, Sean Mercer (a member of the Croxteth Crew gang) was found guilty of murder. Mercer, then aged 18, was sentenced to life imprisonment, being ordered to serve a minimum term of 22 years. Other gang members James Yates, Nathan Quinn, Boy “M”, Gary Kays, and Melvin Coy were convicted of assisting an offender. Boy “K”, later revealed as Dean Kelly, was convicted of four related offences. Kays and Coy were both sentenced to seven years. In January 2009, Yates was sentenced to seven years, Dean Kelly to four years, and Nathan Quinn to two years. A 16-year-old was sentenced to a two-year supervision order. Parents of the gang members, including Mercer’s mother and the parents of Yates, were later tried and convicted for perverting the course of justice. On 28 October, Yates had his sentence increased to 12 years imprisonment, following a referral to the Court of Appeal by the Solicitor General Vera Baird QC as being “too lenient”. On 2 November, Mercer stabbed Jake Fahri (Jimmy Mizen‘s murderer), apparently having crafted a knife from a pair of tweezers. Residents in Jones’ locality have said that there were many problems with anti-social behaviour; in reaction to this, Merseyside Police made the area around the pub into a “designated area”, meaning that officers could disperse groups and move people away from the area. The police vehemently stressed that the murder was not gang-related. It is still not clear what the motive was, but a case of mistaken identity is being considered. Jones may have been caught in the crossfire between gangs. Sean Mercer and the others convicted of involvement in the murder were known to be members of the Croxteth Crew, a criminal gang in Croxteth. The murder came the day before the first anniversary of the killing of Liam Smith, an alleged member of a rival gang, the Norris Green Strand Crew, who was shot dead by members of the Croxteth Crew as he walked out of Altcourse Prison on 23 August 2006. The youth gang phenomenon, and youth gangs of Liverpool in particular, drew high media attention after the murder. 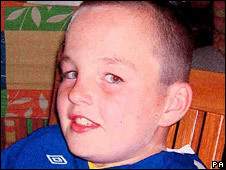 Rhys Jones was a dedicated supporter of Everton FC, and had a season ticket along with his father and brother. Players of the team laid a floral tribute, football boots, and football shirts at the scene of the crime, and players and fans paid tribute to him in a minute-long applause at the home game against Blackburn Rovers on 25 August. After a suggestion from Liverpool Echo columnist Tony Barrett, which was supported by many Echo readers, Everton rivals Liverpool FC agreed to play the beginning of the Z-Cars theme tune – the song that traditionally greets the arrival of the Everton team onto the Goodison Park pitch – prior to playing Liverpool’s own theme ahead of their UEFA Champions League game with Toulouse FC on 28 August. This was followed by a period of applause; the Liverpool players and staff, Toulouse players, and match day officials wore black armbands during the game. London was the first city documented as the world’s gang capital, followed thereafter by American cities such as New York City, Chicago and Los Angeles. A number of street gangs were present in London during the 20th century many in the East End, often referred to as Mobs, including The Yiddishers, Hoxton Mob, Watney Streeters, Aldgate Mob, Whitechapel Mob, Bethnal Green Mob and the organised Italian Mob headed by Charles Sabini. The history of these gangs is well documented in “London’s Underworld: Three centuries of vice and crime”. 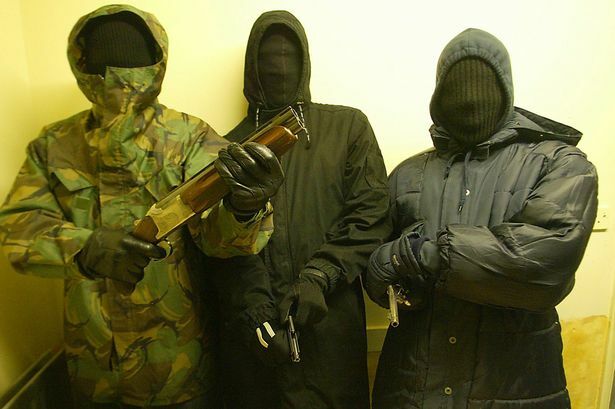 On 21 February 2007, the BBC reported on an unpublished Metropolitan Police report on London’s gang culture, identifying 169 separate groups (see Ghetto Boys, Tottenham Mandem and Peckham Boys), with more than a quarter said to have been involved in murders. The report’s accuracy has been questioned by some London Boroughs for being inaccurate in places and the existence of certain gangs on the list could not be substantiated. The Centre for Social Justice identifies the Gangs in London website as a useful tool in creating an overall picture of London gangs, as highlighted in the report “Dying to Belong: An in depth review of street gangs in Britain”, which was led by Conservative leader Iain Duncan Smith in 2009. In February 2007, criminologist Dr John Pitts, from the University of Bedfordshire, said: “There are probably no more than 1,500 to 2,000 young people in gangs in all of London, but their impact is enormous”. There is no methodology to suggest where this number came from and how it was obtained. Furthermore, in December 2007 in a report written by Pitts on Lambeth gangs, he claims that the dominant gang (PDC from Angel Town) “boasts 2,500 members”. Probably a more accurate estimation for gang membership, although dated, can be found in the 2004 Home Office document “Delinquent Youth Groups and Offending Behaviour”. The report, using a methodology developed by American gang experts and practitioners, estimated that 6% of young people aged 10–19 were classified as belonging to a delinquent youth group, although based on the most stringent criteria this was 4%. There is a modern history of London gangs dating from the 1970s although many of them developed from what Britain labelled as a sub-culture, which included punks, Rastas and football hooligans. Two well known subcultures that had violent clashes during the Notting Hill riots in the 1950s, Teddy Boys and Rudeboys, could well be labelled gangs in today’s media. Amongst the current London gangs whose history does go back to the 1970s, there are the Ghetto Boys, Peckham Boys and Tottenham Mandem all of which are predominantly or entirely black. There are a number of historical Asian gangs in London too, many that were initially formed to protect their local communities in response to racist attacks from the native white population, gangs such as the Brick Lane Massive. In the past decade, Tamil gang violence namely in Croydon and Wembley have been active such as the “Wembley Boys” and the “Tamil Snake Gang. Tamil Hindu gangs in London are also featured as one of the many major ethnic gangs in Ross Kemp’s documentary on London Gangs. In the London Borough of Tower Hamlets, the majority of the gangs are Bangladeshi, it is estimated that there are alone there are 2,500 Bengali youths affiliated to one of the many local gangs, and that 26 out of the 27 gangs in the area are Bangladeshi. London gangs are increasingly marking their territory with gang graffiti, usually a gang name and the Post Code area or Housing Estate they identify with. In some cases they may tag the street road signs in their area with an identified gang colour, as can be seen in Edmonton. This is not a new phenomenon and has been practised by many London gangs in the past although today it is a more integral part of the gang culture. Many gangs have a strong sense of belonging to their local areas and often take their names from the housing estates, districts and postal code areas where they are located. In some areas the post codes act as rival gang boundaries, although this is not a general rule as there can be rival gangs present within the same postal area as well as gangs that occupy multiple postal areas. Gangs in London also use handsigns and gang tattoos to denote gang membership. Some gangs in London are motivated by religion, as is the case with Muslim Patrol. The first recorded gangs in Manchester were “Scuttlers“, which were youth gangs that recruited boys and girls between 14 and 21 years of age. They became prominent amongst the slums during the second half of the 19th Century, but had mostly disappeared by the beginning of the 20th century. In the mid 1980s, a growth in violence amongst Black British youths from the west side of the Alexandra Park Estate in South Manchester and their rivals, West Indians living to the north of the city, in Cheetham Hill began to gain media attention. The city has sometimes been dubbed in the media as ‘Gangchester’ and ‘Gunchester’. The Murder of Mr. BThe gang wars in Manchester first gained national media attention in the Guardian newspaper on 7 June 1988. 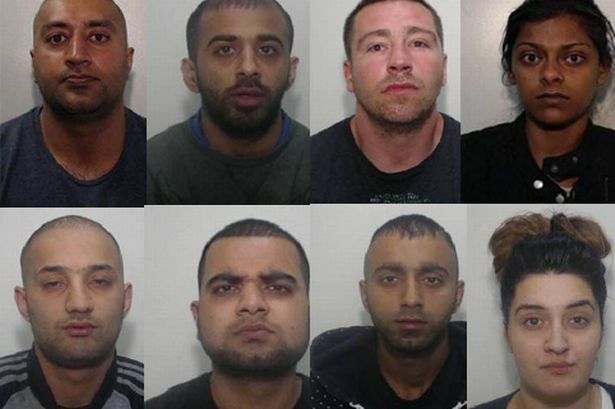 In the article, Clive Atkinson, deputy head of Greater Manchester Police CID said, “We are dealing with a black mafia which is a threat to the whole community”. The gang culture spread into many deprived areas in South Manchester. A gang-related crime occurred on 9 September 2006, in Moss Side, where Jessie James, a 15-year-old schoolboy was shot dead in the early hours of the morning. His shooting is said to have been the result of a mistaken identity for a rival gang member. Up to this day his murderer has not been found. In April 2009, eleven members of the Gooch Gang were found guilty of a number of charges ranging from murder to drugs offenses. The Gooch Gang had a long-standing rivalry with the equally well known Doddington gang. The Gooch gang operated with a tiered structure. On the top were the gang’s leaders, Colin Joyce and Lee Amos, and below them were members controlling the supply and distribution of drugs to the street dealers at the bottom. The gang was earning an estimated £2,000 a day, with street dealers allowed to keep £100 a day for themselves. After 2001 when Joyce and Amos were sent to prison on firearms charges, there followed a 92% drop in gun crime in central Manchester. Official gun enabled crime figures show a 17% reduction in Manchester when comparing 2005/06 (1,200 offences) and 2006/07 (993 offences). However, this was followed by an increase of 17% in 2007/08 (1,160 offences) compared to 2006/07. In 2009 shootings were reported as falling by 82% compared with the previous year. In addition to gun gangs, Manchester is also home to the Inter City Jibbers, an element within the city’s main hooligan gang that uses football hooliganism as a cover for acquisitive forms of crime. According to former Manchester United hooligan Colin Blaney in his autobiography ‘Undesirables’, members of the gang have been involved in serious forms of crime, such as drug smuggling from Latin America and the Caribbean, carrying out armed robberies and committing robberies on drug dealers. In an interview with Vice magazine, members of the gang spoke of connections with Liberian drug smuggling cartels and convictions for offences including armed robbery, credit card fraud and sale of class A drugs.